A comprehensive media handling automation script for use via command-line or with a torrenting program. Handles TV shows, movies, music, and audiobooks. Integrates with push notifications via Pushover and Pushbullet. Then check out the Getting Started guide to learn more. 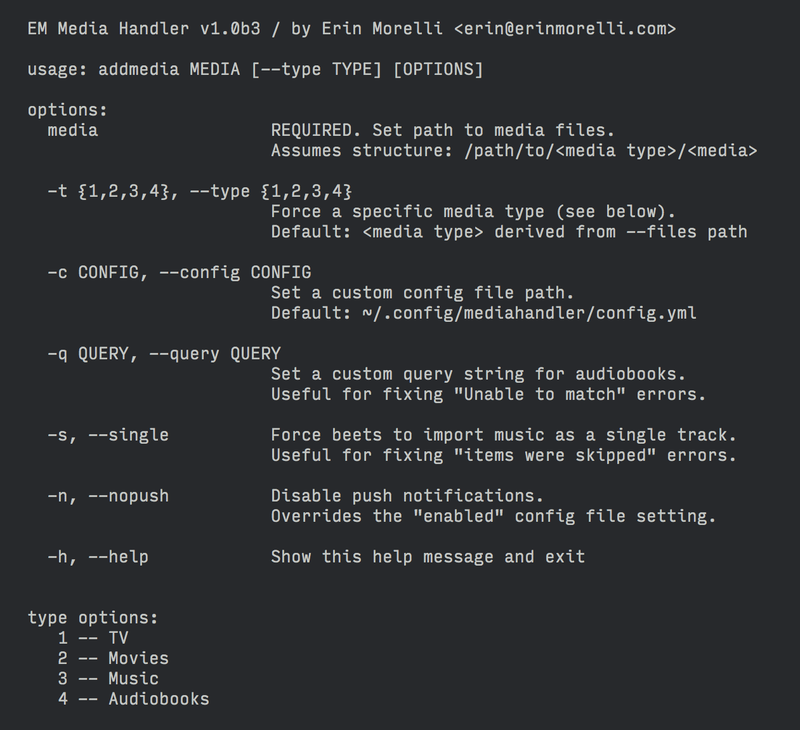 The initial beta release of EM Media Handler, a comprehensive media handling automation script for use via command-line or with a torrenting program.